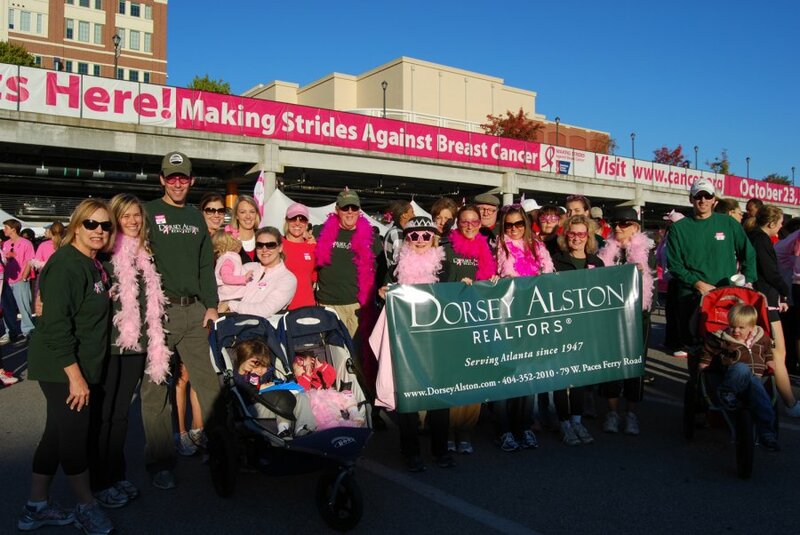 Twenty Dorsey Alston team members walked this year; the office raised $1,360 for the American Cancer Society. Dorsey Alston showed team pride with a specially-designed t-shirt for the walk in addition to pink feather boas, bowler hats and pink glitter sunglasses. Founded in 1947 by Roy Dorsey and Robert Alston, Dorsey Alston, Realtors “Atlanta’s First Family of Real Estate,” has a distinguished track record representing generations of clients and their fine properties. Dorsey Alston remains Atlanta’s longest established and privately-owned residential real estate agency. The firm’s detailed knowledge of the market, experienced agents and commitment to customer service is what they attribute to their success. You can learn more with Your Atlanta Realtors.